A closer look at the Junction Ruins in Canyon De Chelly National Monument, in Arizona. 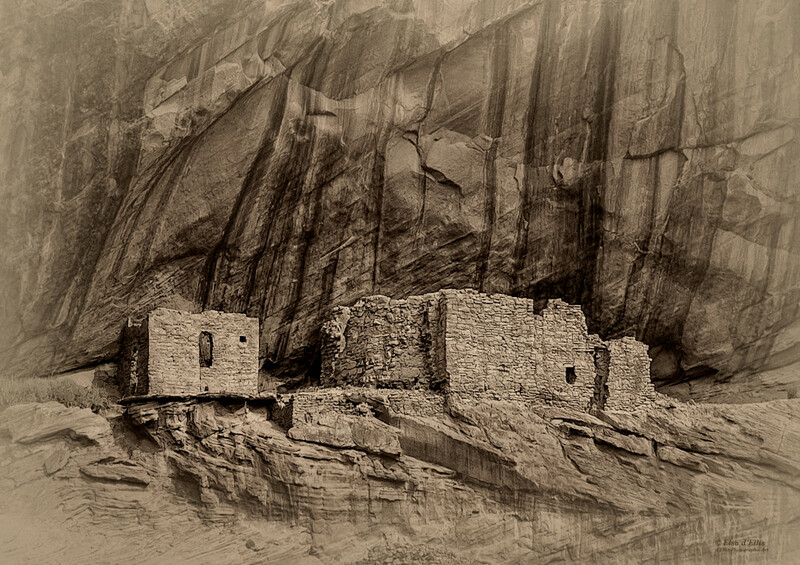 It is one of many ancient dwellings in Canyon de Chelly National Monument, in Arizona. The monument is in the Navajo Nation, and for the most part only accessible by using an approved Navajo guide. The only trail accessible without a guide is to the White House Ruins, which begins at the overlook at the end of a short spur road about 7 miles east of Chinle. The overlook has a good view of the ruins. Round trip time for the trail is one to two hours. Easy hike. See other photos showing other ruins including the famous "White House"